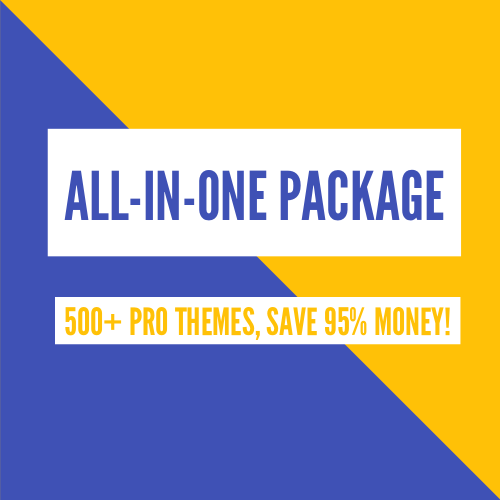 How to manage currencies in HikaShop ? 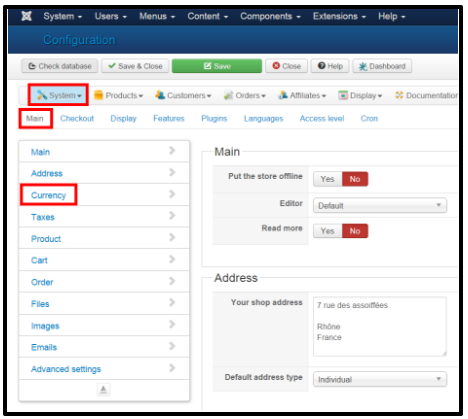 HikaShop supports all the existing currencies. 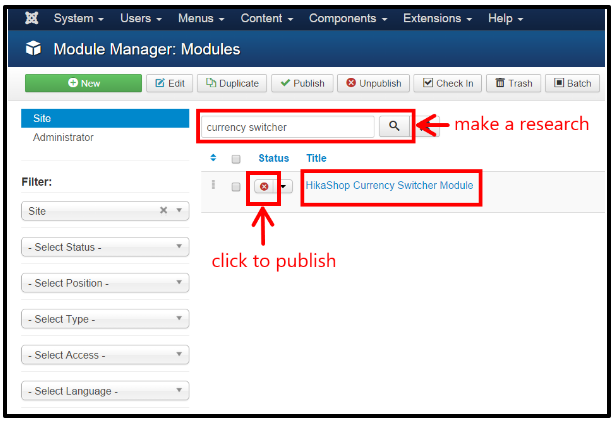 It has a currency manager so that you can tweak each currency. 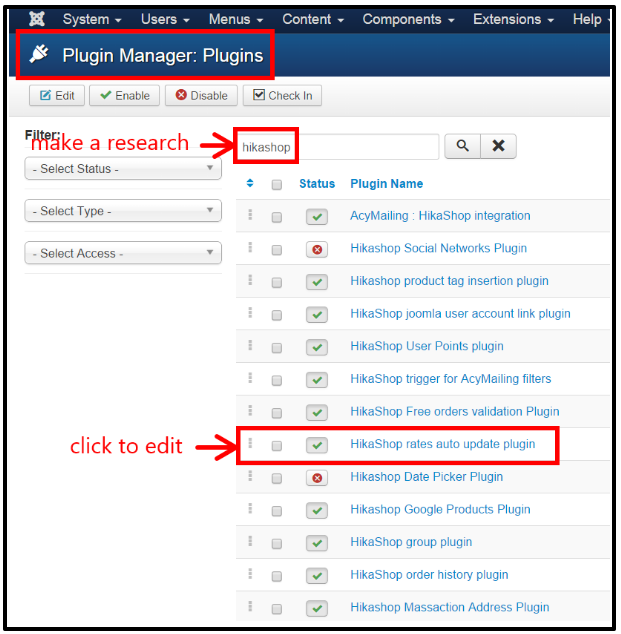 It also has a currency switcher module if you want to allow your users to change the current currency. And finally, it has a system to automatically update the currency rates. 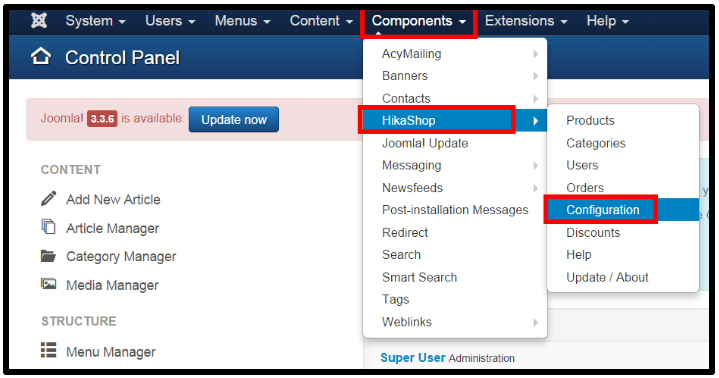 Once you are in the backend of HikaShop, you can go in the HikaShop menu System>Currencies where you will be able to manage your currencies. There, you will see a list of all the pre-installed currencies and you’ll be able to easily enable or disable them. 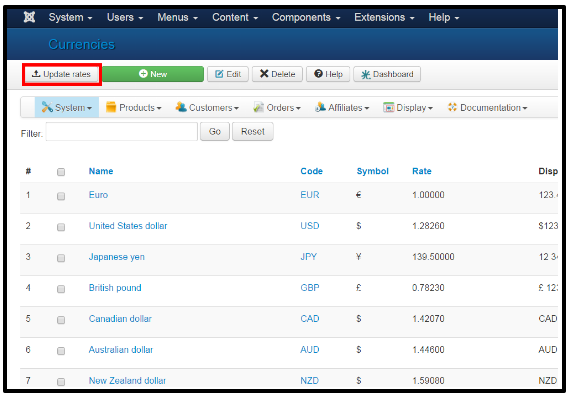 When you edit a currency, you’ll find options to customize the display of the pricesin that currency. 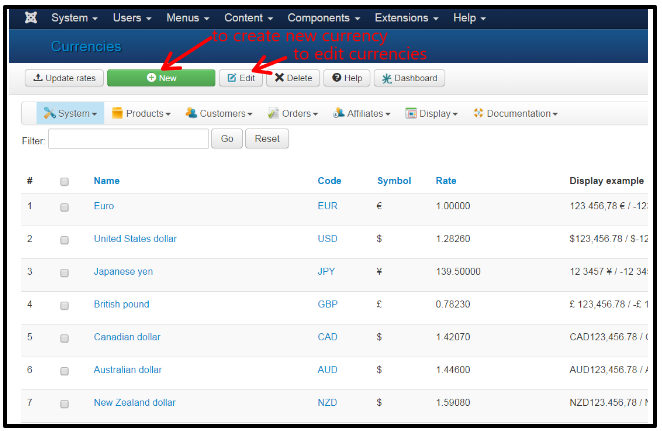 And you’ll also be able to create new currencies on this screen. 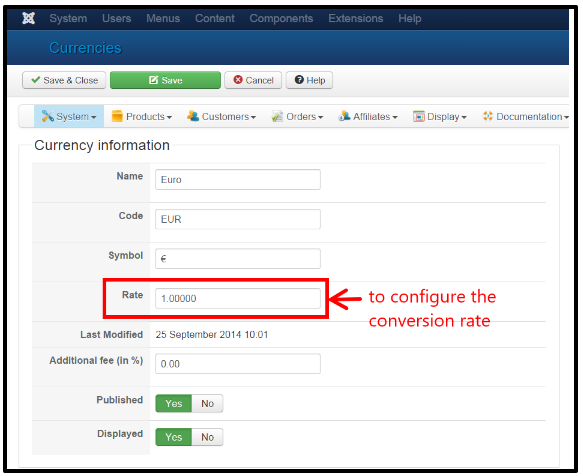 When you edit a currency via the menu System>Currencies, you can configure a conversion rate with the “Rate” option. 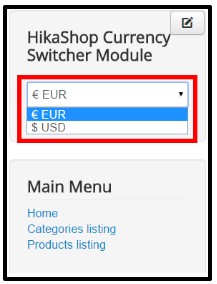 Then, if you enter the prices of your products in one currency and that a customer looks at your shop in another currency for which you didn’t configure a price, Hikashop will use the rate of the currency to convert the price automatically. 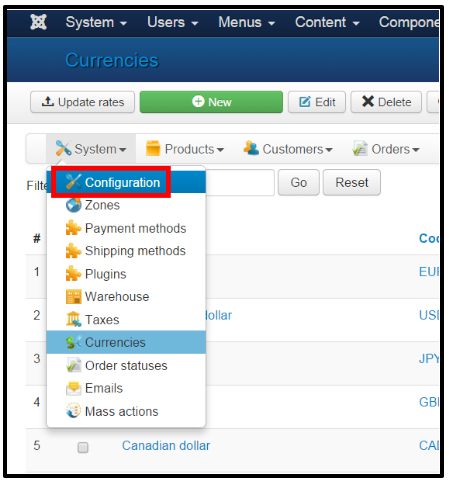 If you have the Business edition, you’ll find an “update rates” button on that screen which will allow you to automatically update the currency rates when you click on it. 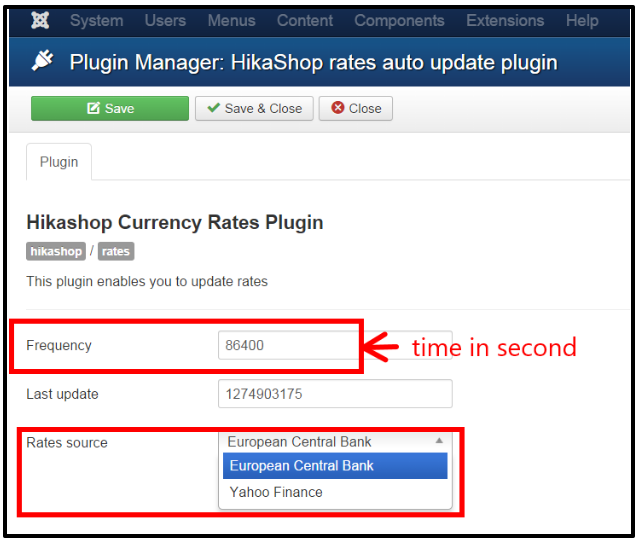 you’ll find the HikaShop rates auto update plugin which you can activate and configure in order to retrieve the rates automatically at a frequency you can define. 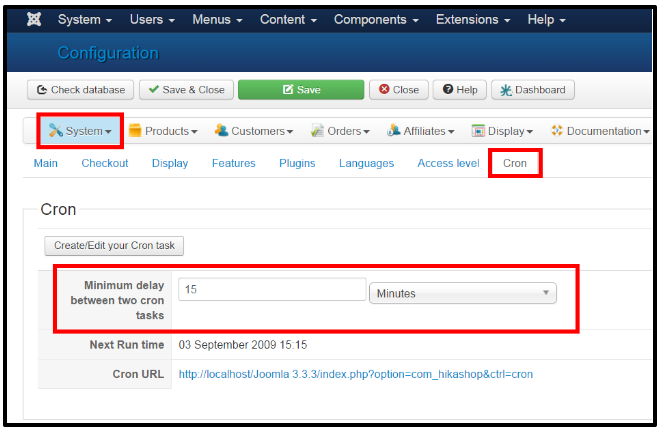 It will require that you first configure your cron task via the “Cron” tab of the HikaShop configuration. 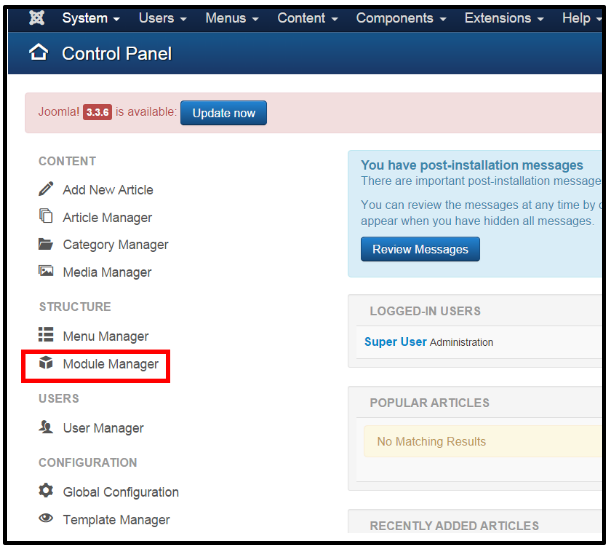 and it will display a dropdown of all the currencies which are either “published” or “displayed” in the Currencies management screen. However, they will see the prices in the main currency of your shop during the checkout. 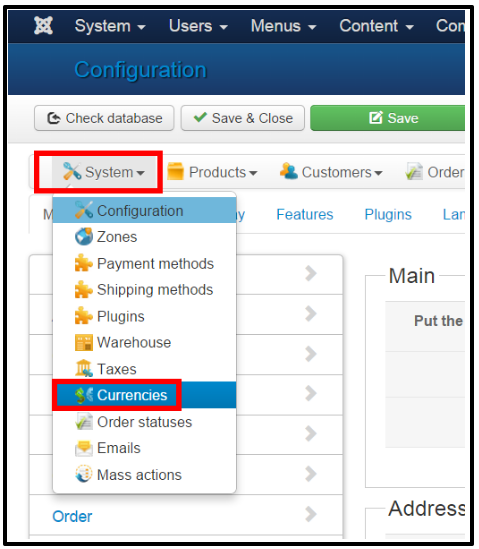 That will allow you to have users from many countries see the prices in their own currency, but have them pay in your own currency because for example your payment gateway only supports your currency.